Who can fail to forget this Candid Camera style show from the 80s, in which Joe public became the victim of Jeremy Beadle's outrageous practical jokes? The annoying theme tune Watch Out! Beadle's About has also never departed from my brain after all these years. One of my favourite moments from the show was when Janet Elford was led to firmly believe that aliens had landed in her garden. The moment she asked them "Would you like a cup of tea?" was truly hilarious (and very British), as was the moment she started singing to them. The fact that the alien was so deliberately unconvincing made this a classic TV moment. 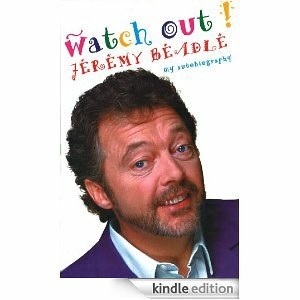 I always enjoyed the moment that Beadle ripped off his disguise and revealed himself to his unsuspecting victim. Of course, this part of the programme must've had the editor working overtime adding bleeps to occlude the obscene language! 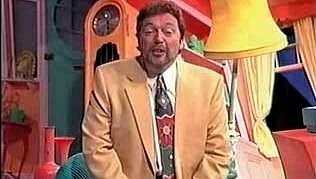 Shown on ITV on a Saturday night, and attracting an audience of up to 15 million at its peak, Beadle's About ran for ten series between November 1986 and October 1996 and there were 96 half hour episodes in total. The English TV presenter suffered from Poland Syndrome and during his final years struggled with cancer of the kidney and leukaemia. On 30th January 2008 he died from Pneumonia, aged 59. This episode features white van man, Dave Hughes at the Docklands Sailing Centre Quayside.